Get ready—the future of competitive Siege is here. 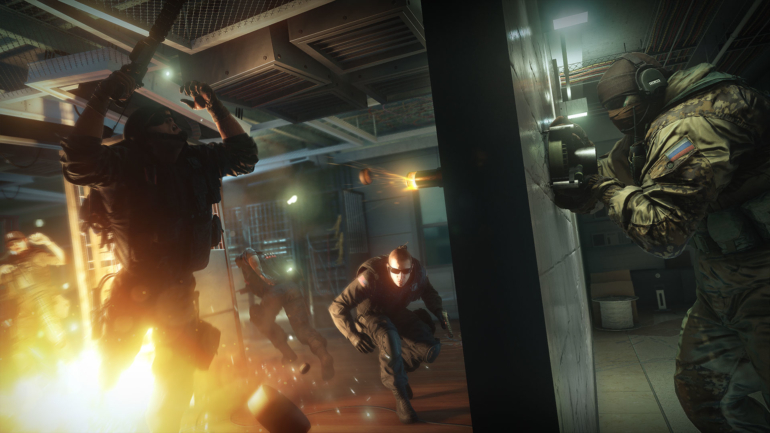 Ubisoft went all-in last year on improving gameplay and performance for its flagship competitive title, Rainbow Six: Siege. This year, the game’s esports scene is the primary focus, starting with a total revamp of the Pro League, according to Ubisoft’s announcement yesterday. In the past, each year of the Pro League was split into three seasons, but starting in June of this year, it will consist of two six-month seasons—one in the spring and one in the summer. This is very similar to Riot Games’ League of Legends, in that each competitive season is split into a Spring Split and Summer Split for its global leagues. Each Pro League Finals tournament will feature a $275,000 prize pool. Four regions will compete for each Pro League season: North America, Europe, Latin America, and Asia Pacific. In each league, teams will compete in a double round robin before the best two teams from each region are plucked to compete in the finals. The most important competition for Siege esports, however, will be the new Majors. In biannual tournaments, 16 total teams from around the globe will compete for an even larger prize pool than the finals provide, the size of which has yet to be announced. These tournaments will be part of enormous multi-day events hosted by Ubisoft. At these events, new operators may be revealed, booths will be set up for fan participation, and cosplay will flow like the Nile. The first Major will take place in Paris this August, and the next will follow in February 2019 for the 6 Invitational in the game’s birthplace of Montreal. For more information and complete details of the upcoming seasons, visit Siege esports’ website.